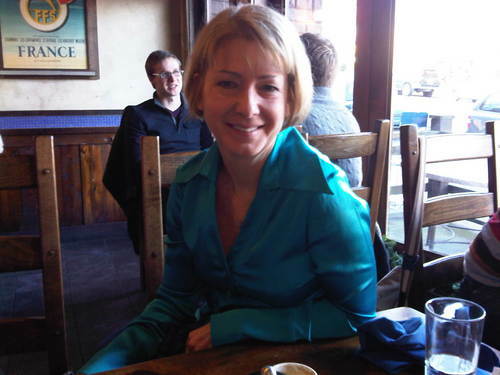 Laura Lynch is a reporter with the CBC - she has been featured on a multitude of PRI produced and distributed programs, including "PRI's The World" and "As It Happens". Thousands are still without electricity in areas hit by Superstorm Sandy. Among those helping to restore power on Long Island are dozens of Canadian utility workers. Anchor Aaron Schachter speaks with the CBC's Laura Lynch. London's Herne Hill Velodrome is a vestige of London's other Olympic Games in 1948. Reporter Laura Lynch speaks with cyclist Tommy Godwin who competed in those games. The Bronze medalist is now 91, but he still gets on the bike. Norway has carefully controlled its oil and gas industry ensuring it doesn't suffer the same fate as other countries where oil has become a curse. Server farms house huge numbers of machines that support websites which need to be kept cool. As a result, more and more high tech companies are building data centers in the far north to take advantage of the naturally cool climate there. Life in the besieged Syrian city of Douma can be deceptively calm, until soldiers show up. Both the Syrian government and armed rebels blame each other for the violence there, that doesn't seem to be lessening despite the UN observers now in the country. Syrian government forces reportedly opened fire on a crowd in a northern town that was being visited by UN monitors on Tuesday. Several people were killed. The UN also said that vehicles in the observers' convoy were also damaged during the visit. Reporter Laura Lynch has just returned from Syria, where she had the opportunity to speak to a variety of Syrians. She tells Lisa Mullins what she heard about how the upheaval there is affecting everyday life. The World's Laura Lynch went with UN monitors to the Syrian city of Dmeir, an opposition stronghold. Residents there are furious at the Syrian government for shelling their city, and increasingly angry at UN monitors for not protecting them. At least 55 people are killed in a double suicide car bombing near an intelligence complex in the Syrian capital, Damascus, officials say.